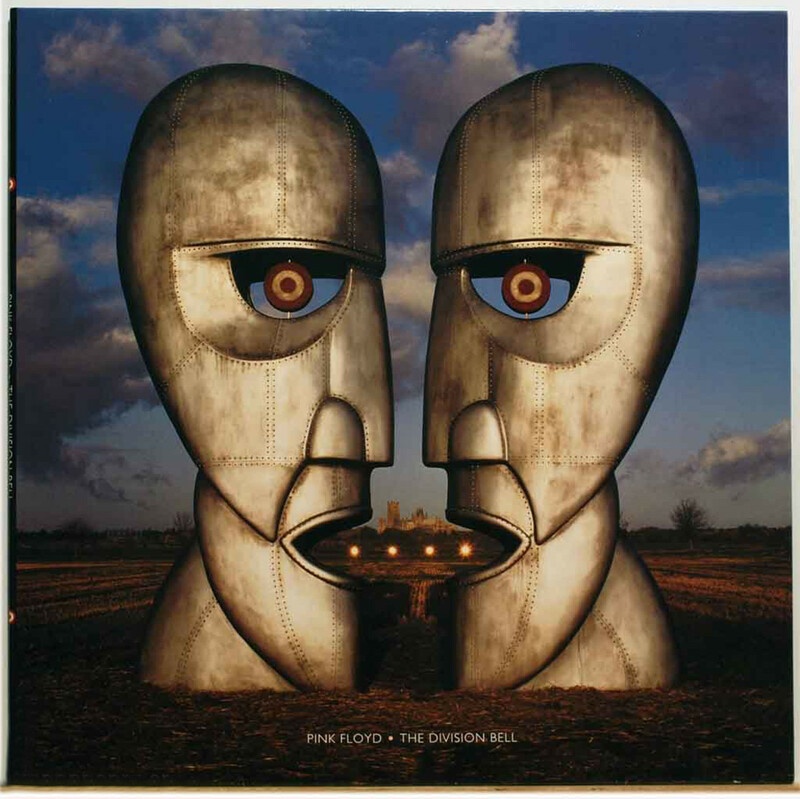 The Division Bell album by Pink Floyd, quite possibly the best album artwork done to the full extent! Longtime collaborator, Storm Thorgerson actually commissioned the two sculptures; He had the two large metal heads erected, each the height of a double decker bus. The two sculptures were devised by Keith Breeden, and constructed by John Robertson near Ely, Cambridgeshire. And visible on the horizon, is Ely Cathedral. These sculptures are now found in the Rock n Roll Hall of Fame in Cleveland, Ohio.